Last edited by xRECKONERx on Fri Jan 19, 2018 3:43 pm, edited 1 time in total. I don't see the huge deal about this. The switch that I care about. That's a lot of things that can break, get lost, etc. Also those tiny controllers would probably cramp my hands after like half an hour of use. I mean the automatic tv turn off isn't priority anyway. I'm very interested in this, though. I was losing hope but, I like this better than the Wii U already. What I liked was couch co-op. Of course we'll wait to see if all that is true as it launches. Same here, Gork. I thought I was the crazy one, apparently being the only one not shocked or awestruck. I suspect that for the majority of people, the most sensible thing will be to just buy a couple extra full-sized controllers, so the tiny detachable controllers will be a non-issue; offering multiple control scheme options isn't a bad thing, even if not all of them are great. I'm mostly curious about whether this'll be backwards compatible with any of the previous hardware Nintendo has used; I'd really love to be able to just use my Wii U Pro Controllers with this out of the box, for instance. I guess that partially depends on what the precise features of the controllers are--if they've added any gyroscope functionality to the regular controllers (which seems probable, given that they show off what appears to be an updated Splatoon), there'll be slight differences in functionality. the fact that the Wii U supports such a wide range of controllers (and that its most notable multiplayer games support nearly all of them) is one of its biggest strengths. ultimately, I think the most important things demonstrated in the trailer are 1)the third party support; showing Skyrim in the opening trailer is a good shorthand for "yes, we're actually going to have third party games on this", and if they can follow through on that, things will be very good, and 2)a hopefully very robust set of launch titles; if all of the games shown in the trailer are available day 1, it'll be an easy sell. Also Couch Co-op. I mean, I don't want to only play games with friends online. I mean the system seems more interesting than the Wii or Wii U, so that's good enough. I don't know what you guys were expecting or hoping for compared to this. eh, i'm an adult so i'm not worried about losing pieces. i also dunno how you'd lose pieces since they're basically going to be latched to the controller or the tablet. the couch coop is awesome. i love it. and that's why i buy Nintendo consoles. the third party support is GREAT. i'm glad to see them moving in that direction. also the wii u can turn a tv off glork??? I imagine this can too???? In post 9, Glork wrote: Also those tiny controllers would probably cramp my hands after like half an hour of use. It'll probably still be better than Kid Icarus: Uprising was, though. NBA 2k17 and Skyrim are not actually confirmed yet. Just thought that was worth noting. Cautiously optimistic about this. Also it sounds like they are going to move to a cartridge system for the games. I dunno what the implications for that will be for backwards compatibility or if there will be an optical drive for that purpose/multimedia capability. 1) It's powered by a chipset that is rumored to be an NV Pascal chip. That's the same chip as in the GTX10xx series. In case you haven't been up on PC hardware lately, NV effectively stopped producing separate mobile chips and branding them differently because the GTX1060 / 1070 / 1080 use so little power as to be mobile chips, but with crazy performance. This could easily have a GTX1060-level-based chip in it, and it would get 50-80 FPS at 1080p ultra detail in modern games, putting it on par with Xbox One (non-Scorpio) / PS4 (non-Pro). 2) The need for parentheses above is SUPER important, and not as a diss on it. Why? Every other generation where Nintendo has launched a console 3 years later than its competition, the competition released a new console within the 6 months to a year after that was a generation ahead, new engines were developed to use that hardware, and they weren't able to be optimized for the poor old Nintendo hardware. That meant Nintendo only had third party support for a year. But MS and Sony starting an upgradeable generation means that, while it's great for gamers on those systems, it's even BETTER for Nintendo. See, for once, MS and Sony are requiring games on their consoles to be compatible on one disc with both, with just better graphics on the higher end. That means engines have to be developed for the original Xbox One and PS4 hardware for the foreseeable future - hardware that Nintendo now has hardware on par with. That means third party games will be able to thrive on it performance-wise, and third parties won't have to shy away like Wii / Wii U. 3) Why else have third parties fled from Nintendo? Because you couldn't just make a port. The consoles didn't ship with controllers on par with the competition, they either required total redo or an add-on accessory few bought (Wii), or touchscreen added to not be lambasted in reviews that drive down metacritic score and sales (Wii U), which industry insiders have said publishers require to be a certain level or developers don't receive full money. Other than graphics, why did we see lots of ports between Xbox 360 / PS3 / PC and Xbox One / PS4 / PC, but not Wii / Wii U? Because no one wanted to invest the extra cost in "remastering" their game with special gimmick controls. Switch? No such problem. Look at the controller - it's a straight up Xbox One controller, the same standard used on PC and Xbox One, and nearly interchangeable with PS4 as far as buttons and inputs go. And there's no gimmicks to cause your game to bomb if you don't implement them, like using two screens no other consoles have, or implementing touch or motion. So while Nintendo may have those tricks up their sleeve, they're not selling on that, and reviewers will be basing their reviews accordingly, not penalizing ports for not doing anything special. It's on even expectation grounds as Xbox One / PS4, which means ports are easy, which means third party support. EA didn't explicitly claim Frostbite support, but they showed FIFA 17, which is built on Frostbite. Unless they're doing a special one-and-done version on a different engine, EA is on board. The only major engines I can think of that haven't confirmed yet are the idtech engines (though Bethesda, now owner of the tech, showed they are standing behind it with Skyrim, so that's likely in the future), and Source (if you look at the list of Source games in the last few years, it's becoming niche and isn't a major player anymore). 5) Can you say more amazing first party games? And I don't mean like "of course, new console, there will be new games." I mean MORE games. Nintendo doesn't have to split its first and second party studios into portable and console teams anymore. Those studios can make double the games now, since they're writing for both the portable and home system in one release. This could mean a return of franchises that we've seen die off, e.g Metroid Prime - those games were incredibly big to make, and what happened when Nintendo had to split that team into two? We got simpler Donkey Kong games that could be made on a reasonable schedule by smaller teams. Where we don't see double the games, we'll see studios taking the same time to make CRAZY huge or polished games. See the new Zelda. Hint: Nintendo has only had to focus their core team capable of making a Zelda game on one game, not two games for different targets / markets. 7) That same "more focused on adults" marketing? If that stays a focus, they've solved the "but KIDS play on Nintendo! Won't somebody think of the kids?!" that has ruined their online play platforms by restricting communication between players to pre-approved, pre-made 20 character chat type communication bound to a d-pad for all online play. Nintendo has a real ID system in place now too, with the Nintendo ID, not janky friend codes. They have the pieces in play (if they ACTUALLY finally stop screwing up and lagging on the social part of gaming online in their system software) to build a network on par with PSN. I don't think they'll be as solid as XBL - Microsoft is just too strong in cloud services and collaboartion technology, but they could be on par with PSN, and for many (e.g. online FPS, etc.) that's good enough. 8) That screen is RIPE to be a touchscreen. In portable mode, we're talking ports of mobile games potentially. Watch Nintendo's bottom line go through the roof if that happens. It would also open the door for likely ability to do indie dev via an app store, if they're smart. I will say this is the least likely item on the list, if not for the fact of "how do you use the touchscreen if games are made for it while you've got it docked." But notice that the controllers can be used independently in the video. Take a CLOSE look at the bottom of the screen. See that dark spot? Dead giveaway of an IR receiver. Now look even more closely to the back of the controller halves, opposite side of the small button. See that pinhole? Too small to be a screwhole - if a screw that small was used, they'd just seal it. That's likely an IR emitter. That gives you positional relative tracking, ala a Wiimote, but in reverse (in Wii / Wii U, the sensor bar was the emitter, and the controllers were the camera. Here, it's the opposite. Now, as to how the controllers could judge direction when there's only one IR point to judge against, I'm not sure. That's where I say less likely for this one). But if that's true, then you could point when docked to use the controller in Wiimote style to activate touch functionality. 9 - bonus because apparently I can't count and I can't edit titles) Capacity isn't the death of this thing like N64 vs. PS1 (max 64 MB cartridges vs. FF8 at 2.6 GB potential storage across 4 650 MB discs, for MUCH chepaer to press a CD at a few cents than the 20+ bucks 64 MB flash cost back then), like Gamecube vs. PS2 / Xbox (1.x GB mini discs vs DVD at up to 9 GB), Wii vs. Xbox 360 / PS3 (9 GB DVD put it on par with Xbox 360, but far less than PS4's 25-50 GB BluRays), and even Wii U (25 GB custom disc media vs. PS4 and Xbox One using 50GB capable Blu-Ray). Write-once Flash ROM is way cheaper than it used to be (as cheap as pressing a disc? No. But ridiculously expensive for 50GB? Also no.) As far as cartridges go, Nintendo can match the size needed for single games now for the first time with Sony and Microsoft since back when they were competing with Sega in the 16-bit era. 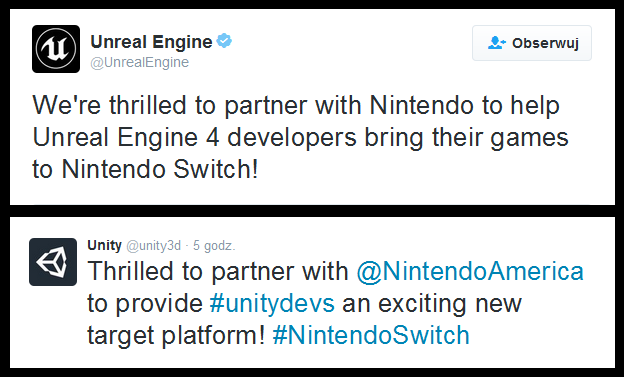 Yet another reason we won't see third parties shying away, or gimped games because of Nintendo's short-sightedness. And compared to Blu-Ray's maximum read speed of 27 MB/s on the PS4, flash ROM is capable of ridiciulously fast speeds. No need to wait for games to install from disc before you can play them. Nintendo could either go with cheap flash cards that are super high capacity - FAR bigger than their competition can do on a disc, or much faster cards and eliminate load times at more reasonable size for smaller games. This is a competitive advantage they've never had. Third party support being not only feasible, but likely? Check. Understanding their demographic has grown up? Check. Having the flexibility to take it on the go, or play it at home, to fit my older, more travel-filled lifecycle? Check. Ability to produce even more (or the same amount at even better quality / depth) of Nintendo's amazing first party games than before? Check. If Nintendo doesn't screw up the digital distribution, pricing, or online gaming frameworks / limitations, they just took back the market for anyone that's not all about the "but all mah gamez MUST be in teh 4Ks!" From now to March feels like an eternity again, for the first time since those 5 minutes on December 25, 1996, but this time, I couldn't be happier that time's moving so slow. If it's got my jaded self excited after all these years, then Nintendo's back, baby. It's about damn time.